I’ve officially reached my first day of burnout. Even though I’ve only written 177 words this morning, I’m still motivated to write. Problem is I feel like a slug. So I expect the words to flow slowly today, maybe finishing up 3500 words by tonight. How am I dealing with the burn out. So far I’ve parked it on the couch with a notebook and a glass of ice tea. 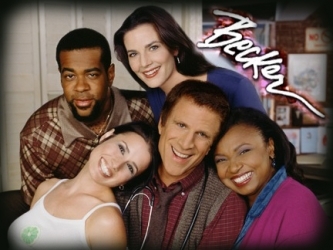 Am taking a break, watching Becker, one of my all time favorite sitcoms. Seriously thinking about making gluten free peanut butter cookies for me and the beagles. Other than that, I don’t plan on leaving the house today or the couch much for that matter. Today also marks the 1/3 point towards close of contest. I’m trying not to dwell on it too much. If you read my concerns yesterday, you already known I’m not at the 1/3 mark of the story. So the thought of putting in extra time to write is probably adding to the burnout. I’m not too concerned about catching up. Doing the 3 Day Novel Contest this year taught me how to keep it on track in a much shorter period of time.